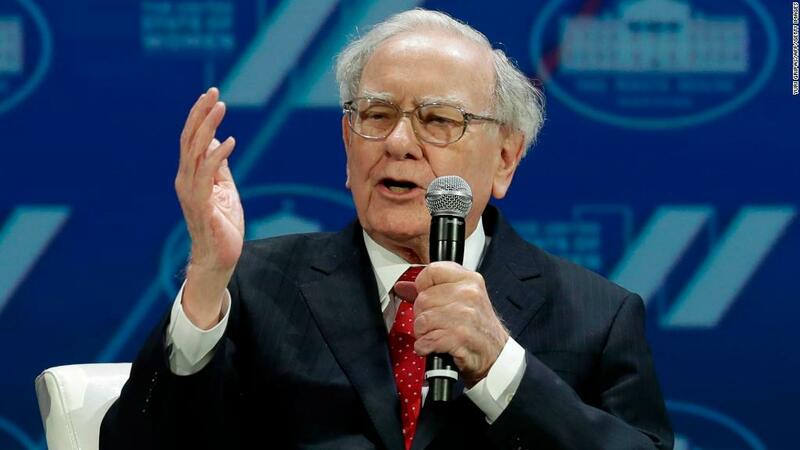 Thousands of Warren Buffett acolytes descended on Omaha, Nebraska, on Saturday for Berkshire Hathaway's annual meeting, otherwise known as the Woodstock of Capitalism. Buffett and longtime business partner Charlie Munger fielded questions for about five hours from journalists and investors. "We very much approve of them," Buffett said. As Apple takes shares off the market, it'll boost the value of the stock that Berkshire Hathaway holds. Buffett revealed this week to CNBC that Berkshire (BRKA) bought 75 million more shares of Apple stock during the first three months of the year, adding to the 165 million shares it already owned. "I love the idea of having our 5% or whatever it may be grow" to 7% or more "without us laying out a dime," Buffett said. Buffett said Saturday that stock buybacks are a sensible use for Apple's massive cash stockpile. Apple (AAPL) could spend some money acquiring another company, but Buffett said it would be "extremely hard" to find suitable takeover target. He added that his praise for Apple's buyback program "does not mean we approve of every buyback" program. 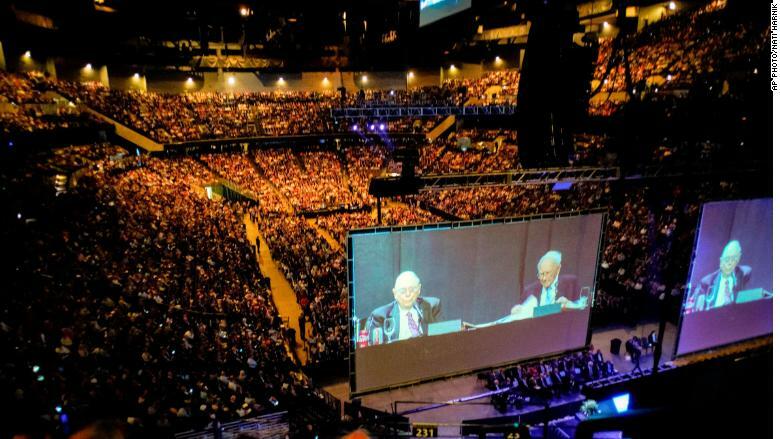 Thousands of investors came out for Berkshire Hathaway's annual meeting — like they do every year. Berkshire clearly has an appetite for tech stocks. So why has it never touched Microsoft (MSFT)? "In the early days, the answer is stupidity," Buffett responded when asked on Saturday why he never invested in the company. He also refuses to dive in now because he is close friends with Microsoft founder Bill Gates, who still serves on the company's board. If Berkshire were to purchase Microsoft shares, and the company were to make a big announcement shortly after that drove the stock price up, it could raise insider trading suspicions, Buffett said. "I stay away from a few things just totally because the inference would be drawn," he said. Buffett said Wells Fargo creating millions of fake accounts was a "cardinal sin" by Berkshire's standards. But, he noted that other banks have done bad things, too. Some companies emerge from scandals stronger than ever, Buffett said. "If I had to say which bank is more likely to behave the best in the future," Munger added, "it might be Wells Fargo." Buffett brushed off looming concerns about a trade war between the United States and China. "We will have disagreements with each other. We'll have disagreements with other countries on trade. But it's just too big, and too obvious that the benefits are huge and the world's dependent on, in a major way, for its progress," he said. The United States and China have traded threats of steep tariffs in recent months. But Buffett doesn't think the countries would "do something extremely foolish" by allowing the rhetoric to escalate to an all-out trade war. Berkshire, Amazon (AMZN) and JPMorgan (JPM) want to team up to launch a health insurance company that they say will be "free from profit-making incentives and constraints." The surprising proposal was made public in January. Buffett didn't offer many more details about the joint venture on Saturday. But he said the new company will have a chief executive in the next "couple months."